MetsaBoard Classic FBB is a fully coated cream back folding box board (GC2), with a double blade coating on the front, that helps to deliver outstanding print performance. With its sensory and hygienic properties it is ideal for food packaging. Folding Box Board is manufactured in layers with the centre being manufactured from mechanical pulp. The centre is then sandwiched by a layer of bleached chemical pulp on either side. The top layer of MetsaBoard Classic FBB is then double blade coated. The natural reverse of the product is cream giving what is known as a Cream Back Folding Box Board (or GC2). With Folding Box Board you can achieve high bulk and stiffness due to the inclusion of the mechanical pulp in the centre layer construction of the product. The process in which the fibres are treated also allows for the product to perform well in a variety of demanding end applications. 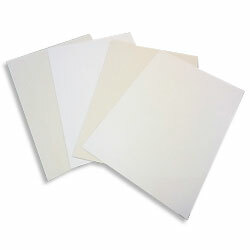 Light weight with consistent quality, a fully coated cream back folding box board (GC2).